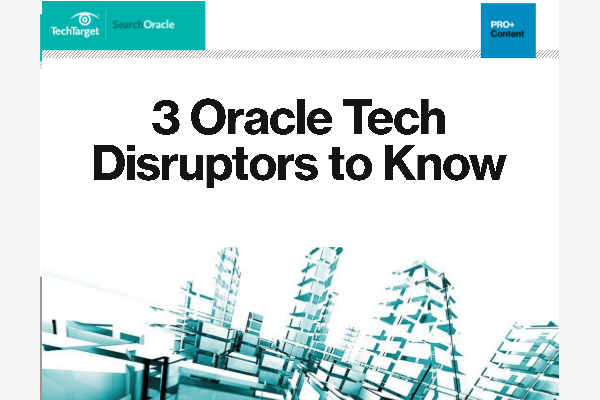 We designed this expert guide to help you get your bearings on key features, functionalities and benefits of Oracle 18C, Autonomous Database Cloud Service and Oracle Blockchain Cloud Service. In addition, get your hands on 7 key tips to keep in mind when preparing to migrate to the cloud. Oracle is investing in container management technology for Docker through an acquisition of cloud computing startup StackEngine, which provides a platform for managing Docker applications. Users have until January 20 to send comments to the FTC about a proposed settlement with Oracle regarding security risks posed by old versions of Java SE left behind after an update. In the Oracle vs. Google court case over the use of Java APIs, Oracle claimed an expert witness appointed by the judge to assess potential legal damages isn't impartial. The latest version of SolarWinds Database Performance Analyzer works with MySQL, giving users of both Oracle and MySQL support with a common performance management interface.